What Are ESG ETFs and Sustainable Investing? 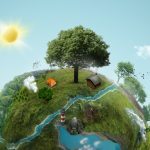 You are at:Home»Investing»What Are ESG ETFs and Sustainable Investing? Socially responsible ETFs that follow companies engaged with green investments or environmentally friendly initiatives are beginning to gain in popularity. But what exactly defines these types of green companies or sustainable investing? “Sustainable investing is a broad term for investment approaches that consider environmental, social and governance (ESG) factors and their impact. The category includes strategies that fall along a spectrum, with ESG Investing the most commonly used term,” Sharon French, Head of Beta Solutions at OppenheimerFunds, said in a research note. The sustainable investing theme has quickly gained momentum. As of 2016, ESG-focused strategies held $8.1 trillion of the $40.3 trillion in professionally managed assets in the U.S. Of those ESG assets, $2.6 trillion were invested in retail-focused funds, compared to $1.01 trillion in 2012 and $202 billion in 2007. Currently, there are about 500 ESG-related mutual funds and ETFs with $1.7 trillion in assets under management. For instance, the Oppenheimer ESG Revenue ETF (NYSEArca: ESGL) and Oppenheimer Global ESG Revenue ETF (NYSEArca: ESGF) are two relatively new options in the space. ESGL targets broad U.S. large-caps through the S&P 500 but screens through Sustainalyics’ proprietary scoring system that focuses on those with positive ESG attributes and employs a revenue-weighted methodology. ESGF, on the other hand, takes a global approach. The ETF tries to outperform the MSCI All Country World Index with strong ESG practices and re-weights companies based on revenue earned. MSCI ESG Research utilizes a proprietary ESG scoring system and screens companies based on Sharpe Ratio, a measure of risk-adjusted performance. When consider ESG investments, French argued that investors should consider three things: returns and impact, deeper insight and return potential. ESG investments try to deliver returns while monitoring the long-term impact of a company’s business practices on society, the environment and performance of the business. Incorporation of non-financial data over ESG practices can provide deeper insight into company performance, compared to traditional fundamental analysis. A number of third-party firms are now providing ESG metrics from companies and comprehensive ESG scoring on a number of firms. Lastly, recent academic research has shown that high ESG ratings are correlated with lower cost of capital, market-based outperformance and accounting-based outperformance. Harvard Business School discovered that “high sustainability” firms outperform “low sustainability” firms over the long haul with lower volatility. Along with the ESG weights to potentially enhance returns and limit risks, OppenheimerFunds ETFs also implement a revenue-weighting methodology that could provide diversified exposure to the market, is not influenced by stock price, reflects a truer indication of a company’s value and offers stable sector exposure. Investors who believe in a return to fundamentals can look to the revenue-weighted methodology, including other options like the Oppenheimer Large Cap Revenue ETF (NYSEArca: RWL), Oppenheimer Mid Cap Revenue ETF (NYSEArca: RWK) and Oppenheimer Small Cap Revenue ETF (NYSEArca: RWJ). 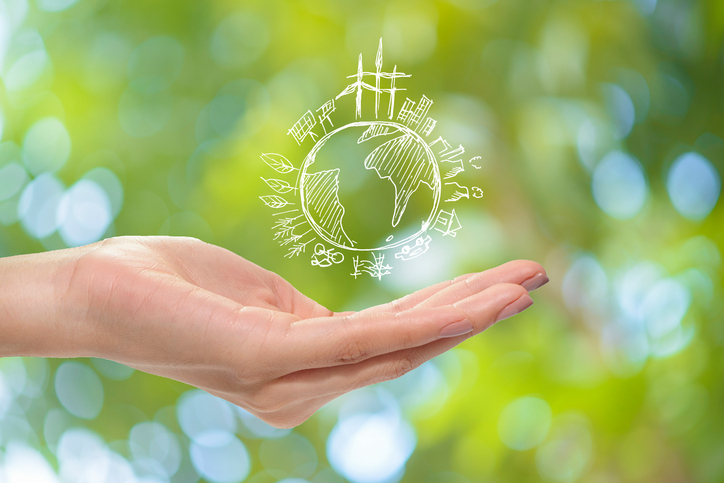 For more information on sustainable investments, visit our socially responsible ETFs category.